Flutters about and grooms face; generates glowing pink clouds and particles. The Sapphire Firefly has a unique spawning mechanic. 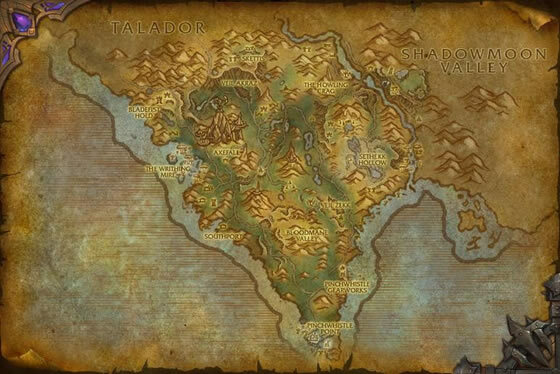 It has multiple spawn points, yet only a single spawn will appear in Spires of Arak at any given time. There will always be one spawn available, though. 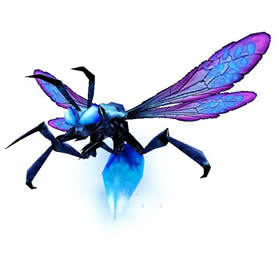 Once the Sapphire Firefly has been captured or defeated, a new one will immediately pop up in the zone. It can appear at the same location in which it was captured, or it can respawn elsewhere. In Legion, this wild pet can sometimes be found in the Dalaran (Broken Isles) Underbelly as a secondary wild pet. Sapphire Firefly spawns as a level 25 in the Underbelly as a joining pet when fighting the Blind Rat or the Mutant Warturtles in Legion. Well this is embarrassing....I've come back to WoW after a break away and I was just putzing around Spires and saw this little guy. 'Oh, I don't have that yet' and away I went. Had no idea....it was late at night server time as I'm not in the US, so that might have had something to do with it. I got really really lucky I guess. I started looking for this one just today because I got a Swamplighter Drone as a hunter pet and wanted a battle pet that looked just like it. I have waterflies but they are a different color blue. I looked here for info and dropped a waypoint where the first comment i saw with a waypoint was but found mine after wandering a slightly different direction at 45.58, 62.13 right outside the bonus objective area in Southwestern Spires. Couldn't believe my luck yesterday! After stumbling onto a Crimsonwing Moth, I flapped over to Spires to do more pointless digging. While having an argument with one of the cats over who should be there, I saw this little guy right before I unleashed Reign of Fire. *Whew* After winning said argument with said cat, I quickly tagged this baby and got him with only 10 health left! Eeep! I really thought I was going to accidentally kill this one, but he was tough eough to last. Battles await! Found mine today. Just flying around spamming my /tar Sapphire at 37.99, 41.98. Good luck all! Just came across this guy while doing the Pet Battle Bonus week, he is poor quality but tomorrow I will buy a rare upgrade stone so yay! Now for the Crimsonwing and I will be happy! Got it exactly where everyone said it would be. Thanks! Adding a location: Found a Poor P/B in a Goretusk field north/northwest of Axefall, around 37.97, 42.21 (a pig pushed me). It's across the road from the Writhing Mire. It'll quite do the job! I followed the spawn points on the Pet Tracker add on, while spamming the parget macro. Worked like a charm. Found both the Sapphire Firefly and Crimsonwing Moth this morning at 10:30am EST. Strangely both spawned outside of the listed tom tom locations. However, on the map I could see a general "path" among all locations. I just made a macro "/tar sapp" or "/tar crim" and just ran that area spamming the button. Picked them up in no time flat. It has been referred to as "the flying gem" due to its similar luster to the finest of sapphires.